So you have an iPhone but no room for Chocolate in your pants or bag. You are in luck because this case for the iPhone 4 and the iPhone 4S looks like a chocolate bar with a smily face on it and even though it does not taste like chocolate it will smell like chocolate. So when ever you want chocolate you can just smell your iPhone and you will be in your happy zone. 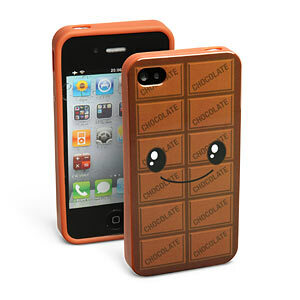 Any time is chocolate time so come and check out this Chocolate Scented iPhone 4S Case.